Since the 90's thanks to the "petrodollars", the United Arab Emirates went from being isolated villages lost in the desert, to become one of the most popular destinations among travelers from around the world. in terms of number of visitors, and this number is increasing year after year. Although, there is a ton of information on the web and in the travel guides about Dubai, it is important to know some key information before traveling. It is not uncommon to hear that in Dubai it is quite hot, but few imagine that this temperature is maintained for practically every year. For example, in most countries there are at least two seasons (wet and warm or cold and warm season) or in areas above the tropics you can easily differentiate spring, summer, autumn and winter. However, in Dubai it only exists: hot and very hot. If you come from a temperate-cold zone and you do not get used to the heat so much, do not worry, anywhere there is air conditioning. But it is important to know that most of the time the temperature is above 30 ° C and it only rains a few days a year. The official currency in the United Arab Emirates is the Dirham. Approximately one US dollar is equal to 3 dirham (at today's exchange rate) and you can exchange them directly at the airport or at ATMs throughout the city. One advantage that Dubai has is that cash is not as necessary as there are credit card terminals in all establishments. You can even pay the taxi or the subway without cash. One of the keys for this part of the world has grown so fast in number of tourists, are the cheap air tickets. In Dubai as in any other city / country in the Middle East, the price of fuel is very low, so air fares are drastically reduced. In addition, thanks to its very competitive prices, Dubai has also become a point of connection between Europe and Asia / Oceania. The standard plug in Dubai is the British three-pin 220V. Fortunately for tourists, by quality standards in all hotels there must be universal connectors that adapt at least to the American and European plugs. What you should keep in mind is that voltage can be the problem in case you connect devices that use a lot of current. For that you need a transformer (in luxury hotels are already included). 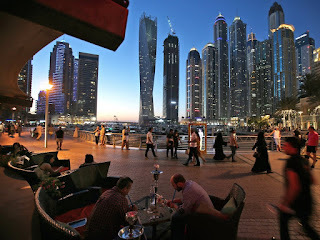 Dubai is not such a cheap tourist destination, however, it is in the month of May when you can get good deals on packages, hotels and restaurants. As mentioned in point number 1 of this list, in Dubai it is quite hot; and it is in May when the highest temperatures of the year (more than 40 ° C) are reached. Most people traveling this time are for business and not tourism, so hotels and restaurants make very attractive offers to attract more travelers. You may be interested: How much does a trip to Dubai cost? 6. The most spoken language is ... English? Arabic is the official language of the United Arab Emirates, but ironically, you do not need to know how to speak it -not even some basic phrases- to move comfortably around the city. 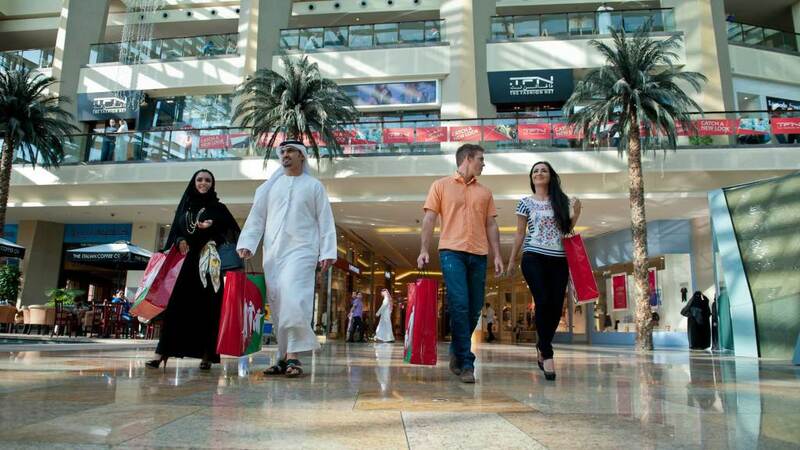 According to official data, approximately 82% of people living in Dubai are foreigners, which means that Arabic is in the background in most places. Even the second most spoken language after English is Mandarin (data from Fox News). If you want to explore more remote and not so touristy areas where the locals live, you do need to have knowledge of Arabic and local dialects. For everything else, English is more than enough. For cultural and religious reasons, the weekend in Dubai is from Thursday to Saturday and not from Friday to Sunday as we are used to. Although traditionally the first working day of the week is Sunday, in fact most of the offices and stores open every day of the year in the city (except on holidays and in Ramadan). Every time you travel to another country, it is important to be aware that the culture and rules are different from where we came from. In the case of Dubai, it is not the exception. As Dubai is a Muslim city, the displays of "public affection" are not well regarded. Although the police tend to be somewhat benevolent towards foreigners with this type of law, we must not forget that it is illegal.